A month or so, ago, I took a wrong turn coming back from the Dayton Mall area and ended up on this twisty, beautiful road called Crains Run. 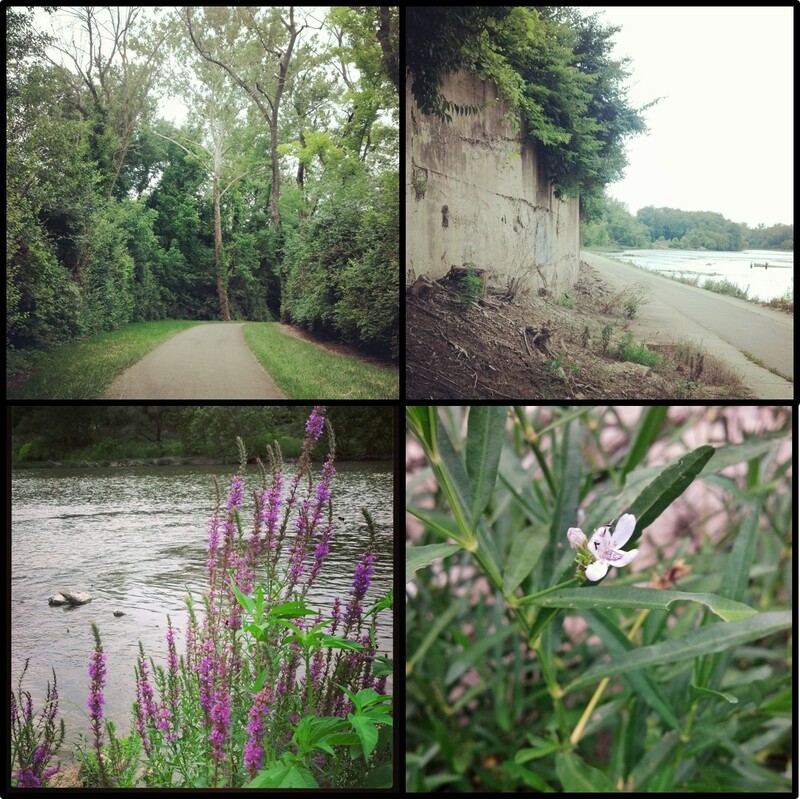 When I went to show Matt the road, I noticed that we plopped out near the namesake Crains Run Nature Park. At that time, we could not stop to enjoy it; plus, it was unseasonably cold…or hot that week…I can’t remember, but I just know we couldn’t stop. So we promised that sometime soon, we would stop and check it out. Matt has been in this area for years and had never visited it, but I’m the type of person who a) loves parks, b) loves local, c) loves new places, d) loves old places, and e) loves going to said places with my husband. That is what Crains Run Nature Park is. It is a park, and very lovely. 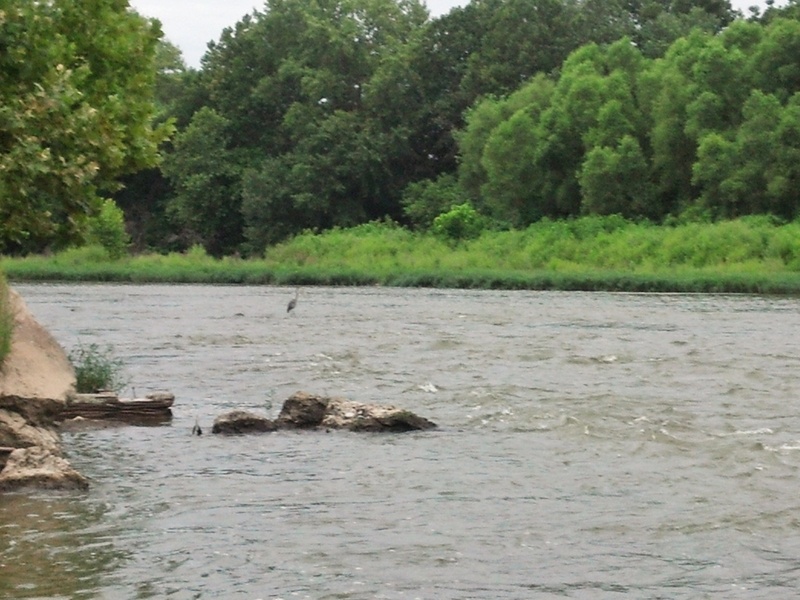 It’s local, and is part of a string of parks along the Miami River. There is a bike patch connecting all these parks for miles! It is new to me, and I love first time visits anywhere. I’m saying it is old because of the river. There is something about rivers that is just old and new all at once, and I love paradoxes like that. It is like the Gospel. 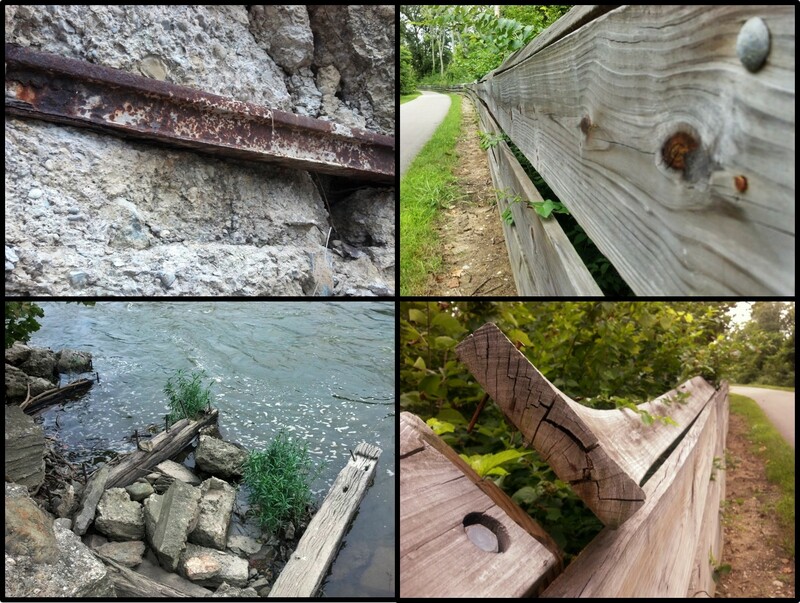 Ohio has been doing a great job of turning old rail routes that are no longer in use into walking/bike paths. While I do love trains and the rail system, this idea of making something new and scenic from something else is fabulous to me. The views are lovely, and there is a lot of nature to observe along the way. We took a short walk on the path, only a mile in one direction and back, before we called it an evening. My feet were sore at the end of it, but my heart was full. 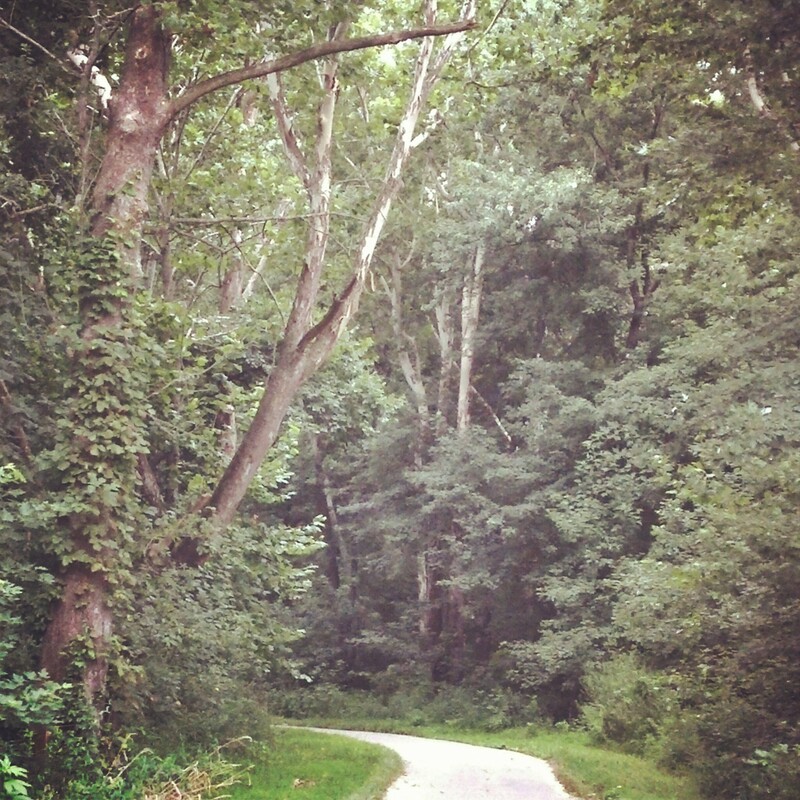 I felt like I was running (well, I was walking) through Narnia, “Further up! And further in!” It was growing and the smells and sounds were delicious. I’m also a self-christened “hana otaku,” which can be translated from the Japanese to mean a “flower nerd.” And I think wildflowers are some of the best. This park has them in spades. 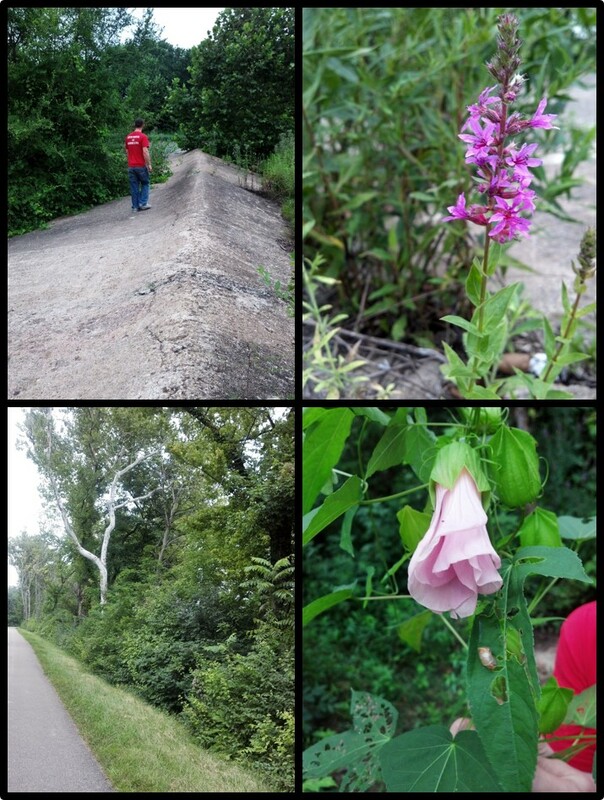 We walked along a big cement platform out to the river’s edge and found some lovely examples of Ohio wildflowers. I love how the wild nature reminds me so much of God. We go through our lives, many of the events having the same color and feel, like the green of the trees, bushes, weeds, and then suddenly, we will find a patch of beautiful color to remind us that God is right there and has a treasure to show us. The little blessings throughout the day are the scattered wild daisies or butterflyweed tucked into the corners between the strong oak and maple trees. And God spoke these into creation; they are from the very words of God! I enjoy seeing the discarded remnants of man’s attempt to either make better or to invade something wild. In the end, it is all nothing. God made nature resilient and no matter how many times something is paved over, a flower will probably start growing between the cracks. Those are the only two I could find information for online. This entry was posted in Green, Review. Bookmark the permalink. You must have gotten your love for wild flowers from Grandma Stella Cook as she loved them and would pick bunches of them while walking in the woods. I like reading your Xapa to the world. Keep it up. Hope you and Matt are doing well with your first year of marriage. Love and prayers Grandma Cookie.